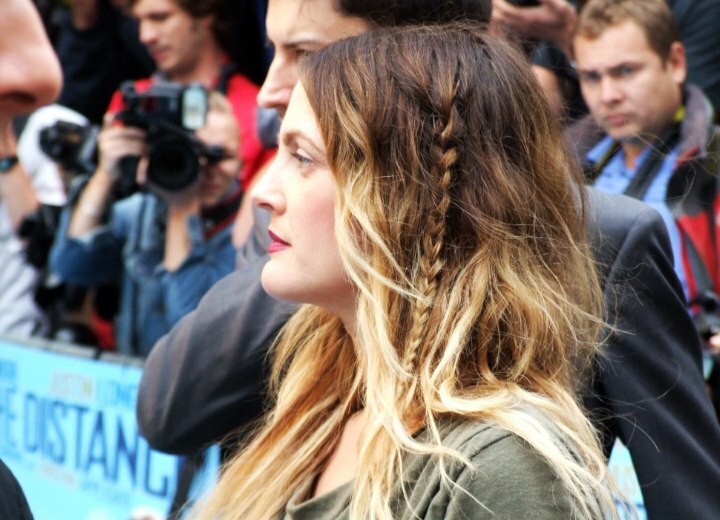 Q: I love Drew Barrymore's hair color with the top half dark and the bottom lighter. I think I heard someone call it top-deck hair coloring. How can I create this look? I'm a brunette, so I guess I will need to get a part of my hair bleached. Is this right? A: That is one option, but be aware that it is my opinion that Drew Barrymore's look is created by the use of hair extensions - given the volume involved. However, if your hair is already at this level of volume - in other words, the hair appears this thick and full - you can opt for a lightening process. This is something that will need to be done professional given the level of color lift involved. And you may want to discuss with the colorist the idea of multi-stage highlighting in order to generate the effect without re-processing areas of the hair repeatedly. Also note that you will want to approximate the cut as well, since this type of color effect is best displayed by such a long-layered, razor cut as Ms. Barrymore is wearing.